The word pesto comes from pestare, to pound. Pesto is made with fresh basil leaves and is the signature sauce of the region of Liguria and, in particular, Genoa. Its sweet, slightly peppery flavor marries well with many ingredients. Pesto is delicious on pasta but it's equally good on fish and pizza and a great addition to hearty soups. In a food processor, combine the basil and garlic and process to a coarse puree. Add the cheese and process to blend. With the motor running, add the olive oil in a thin steady stream through the feed tube. Add the pine nuts and blend the mixture until smooth. Season with salt and pepper if you wish. To store, transfer to a jar and pour a thin layer of extra-virgin olive oil over the top to preserve the pesto. Refrigerate. Note: You can also make this the traditional way using a mortar and pestle. Grind the basil and garlic together to a coarse puree. Add the nuts and grind to a smooth puree. Blend in the cheese. Blend in the oil a little at a time. Season to taste. 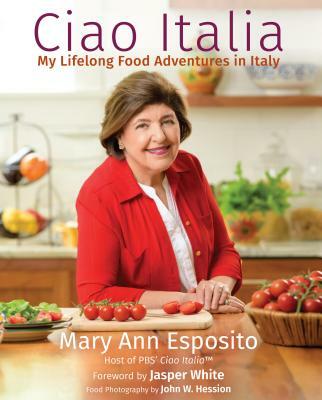 This recipe is from CIAO ITALIA by Mary Ann Esposito, published by William Morrow and Company, Inc., in 1995. Just made the basil pesto. We added some red dried peppers for pizazz. Delicious. Going to make the frozen basil pesto for future use. Our herbs are many and ever so tasty.